If you're not fond of "judging a book by its cover" when it comes to meeting someone, you'll probably like to know there's a dating app that keeps users from doing that. The Tinder app was popularized for allowing people to connect at the speed of a swipe based only on their physical appearance. 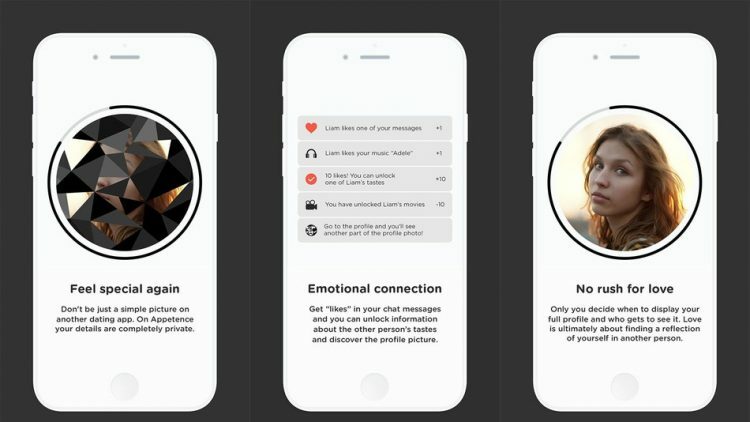 But if you feel there's more to know about someone than simply how they look, there's a new app that puts emphasis on letting people know each-other before they can even see one-another. The dating app Appetence can be regarded as a much slower Tinder, starting with the fact that users' faces are hidden by a pattern that gradually reveals the person's face as users interact and figure out their "compatibility" - and for that you'll need 50 "likes". This is not at assured thing, and it can happen that you can get to see the other's person's face before they get to see yours (or vice-versa). ... It won't appeal to the fast swiping Tinder users; but if you're looking for someone you wish to know more than just skin-deep... it may be worth a shot.